2 Pounds of Craft Beads only $5.99 w/ Free Shipping! 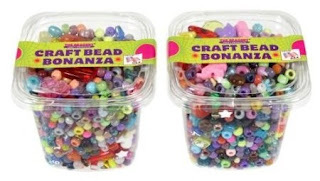 Right now at Amazon, you can get 2 pounds of The Beadery Craft Beads for only $5.99 with free shipping! There is a huge assortment of beads in countless colors, shapes and sizes. They come in resealable containers so clean up is a breeze!